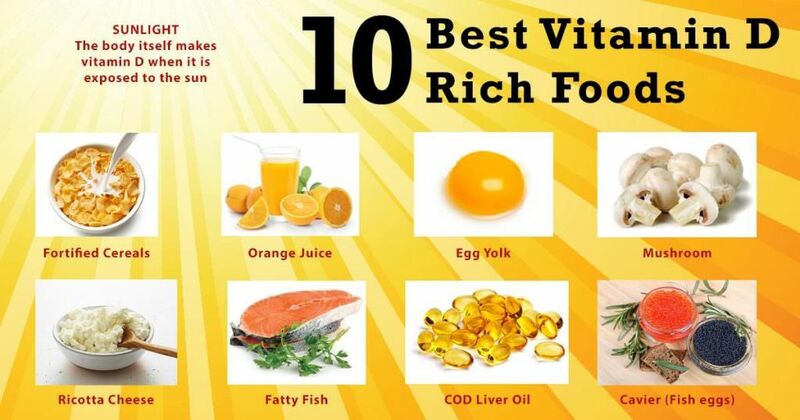 Do You Need Vitamin D Supplements? If you live in Upstate New York, the answer is most likely “yes”. After all, it is called the sunshine vitamin because exposure to sunlight helps us produce our own Vitamin D. Unfortunately, the skies are more gray and cloudy than clear and sunny in Upstate New York. And research suggests that the older you get, the less likely you are to be able to absorb Vitamin D through sun exposure alone. For example, a person over the age of 70 produces 30 percent less vitamin D than a younger person with the same amount of sun exposure. We’ve put together some helpful hints and suggestions so that you can be assured you are getting enough! Doctors suggest that we get 10 minutes of sunshine on bare skin when the weather permits. However, sunscreen will prevent your skin from absorbing Vitamin D. If you are going to be in the sun longer than 10 minutes, be sure to apply sunscreen after your 10 minute limit to help prevent skin cancer. Fatty fish, like tuna, mackerel, and salmon, sardines, caviar. Foods fortified with vitamin D, like some dairy products, orange juice, soy milk, and cereals. Ask your doctor about your level to determine if you should be taking supplements. A helpful chart to the right foods! For more writing by Virginia Tortorici, click here.